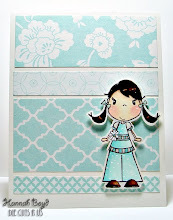 I was so excited when my Mom told me that Ms. Heather of Fresh Brewed asked if I would like to create a card with her new images AND if I'd like to be in her blog hop.....Oh My, I really couldn't believe it!! ans see what she has to share with you!! Wonderful! I love the way you colored these gorgeous images! Outstanding job with the images! Oh my goodness!!!! These are FABULOUS!!!! I love the cheerful, vibrant colors...and you colored each of these beauties brilliantly!!! WOW!!! 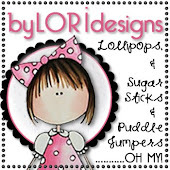 You definitely RoCkEd this blog hop!!! Fabulous creations! I love your beautiful coloring and what you decided to create. Beautiful work! How beautiful. I really really like your guitar girl. Great inspiration! Great job coloring these images!!! WOW! You have really made some wonderful creations! Love your idea of the gift cert--totally awesome! Great projects! Love the colors too! Great creations! I love your coloring and the pinks and blues are so pretty! Hannah ~ Thank you so much for being a part of this hop with me. You are so sweet and talented. It was an honor to have you on my team this go round! I LOVE your projects! Queen for a Day is ADORABLE!!! I LOVE her chair :) The others are just as lovely. You really went all out and I appreciate it so much! What a wonderful job you did on these!! Fabulous! Beautiful cards, you coloring is amazing! WOW, I love how you shaded and colored the images, great coloring! Hannah, wow. All of these have such personality and your coloring rocks! Lovely!! Your coloring is amazing! These are fabulous! Gorgeous coloring. Can see you are following in mama's foosteps. 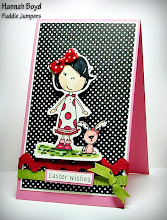 I'm ALL about the 'Girly' cards!!! You knocked this one out of the BALL PARK!!!! GRAND SLAM BABY!!!!! Great coloring work, Hannah! You defintily got your Mom's talent! Great job! !